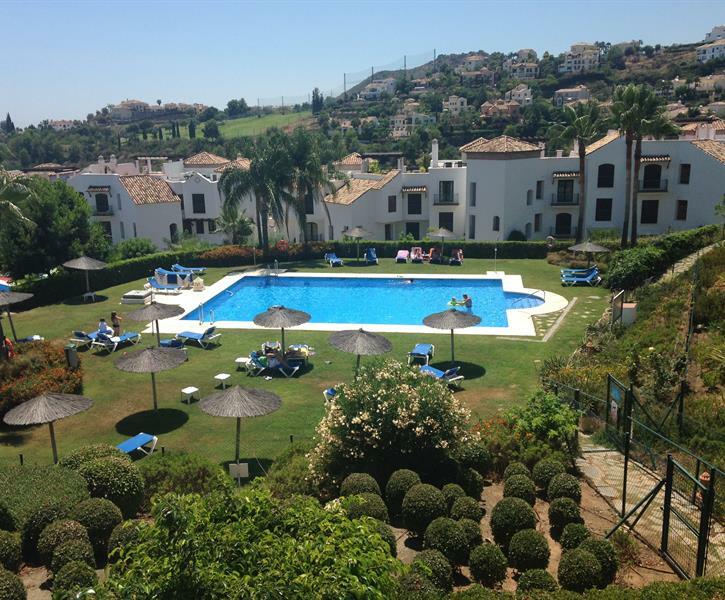 High standard, 3. bedroom apartment in Los Arqueros Golf and Country Club. Close to Marbella, Puerto Banus, and San Pedro, as well as many excellent beaches!. There is a new smart TV with totally 150 English, Swedish, Finnish, German and Spanish satellite channels. Guest also have access to WiFi and a blue tooth Bose sound player. The kitchen is equipped with table settings for up to 12 people. Dining table is expandable to 8. people. Guests can enjoy nice and relaxing dinners both inside and outside on the terrace. There is an excellent Weber gas barbecue on the terrace for the guests to use. This is a great apartment, well furnished and nicely decorated. Good location and excellent facilities, good pool and balcony with large table for family dining. Los Arqueros is a well run family friendly country club. Nice and beautiful area, close to grocery shopping. Good apartment with everything you need for making you day. Good equipped kitchen. Close to the cozy Portu Banus and beaches. It's a very nice apartment, clean and spacious. We were with 6 adults, enough room for everybody. We played golf and went to the nice places in the nearby. We had a lovely weeks stay.